This isn't my first go round with fermentation, we used to enjoy brewing beer before all our time got taken up with three little monkeys. 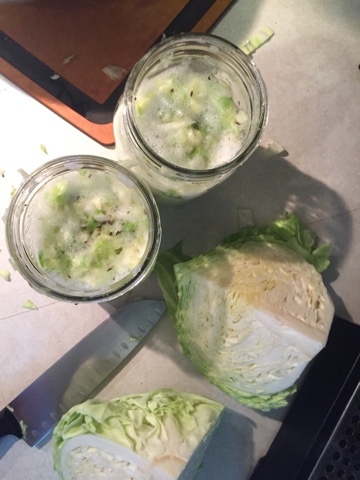 But this is my first time experimenting with lacto-fermentation to make sauerkraut. 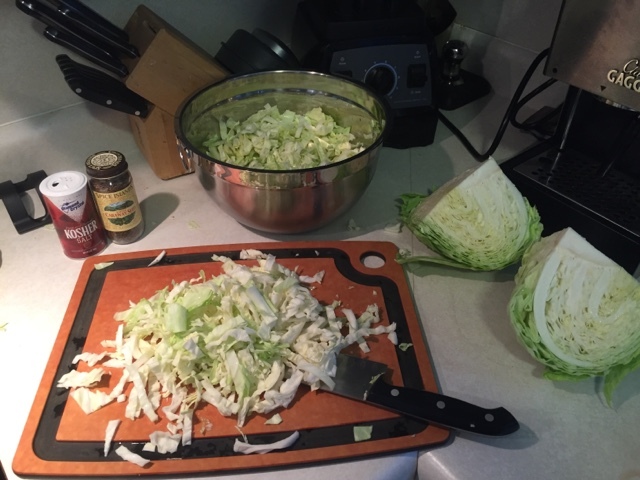 I don't want any of our CSA to go to waste so I wanted to come up with a new idea for our recent head of cabbage. 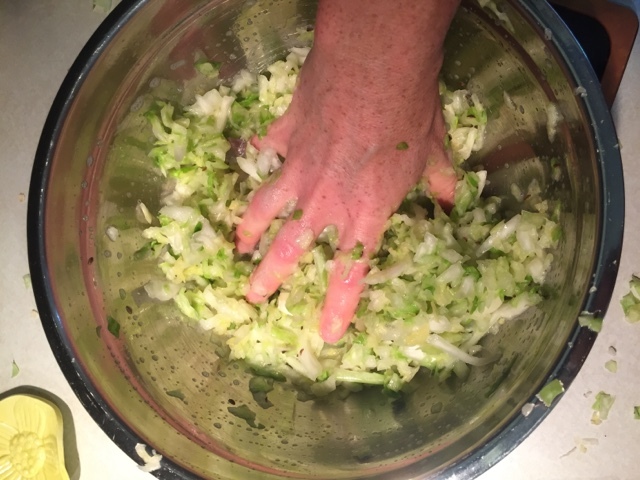 I made clean coleslaw last week and frankly we are slawed out. 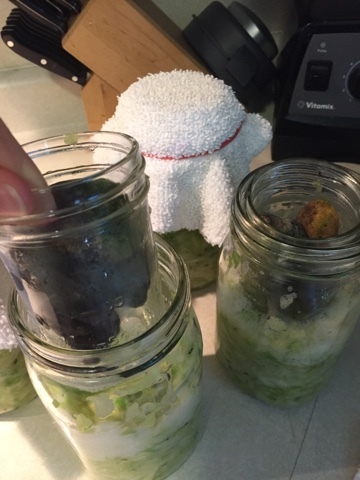 I love using jar methods to use up foods because I can utilize the food now for consumption later. 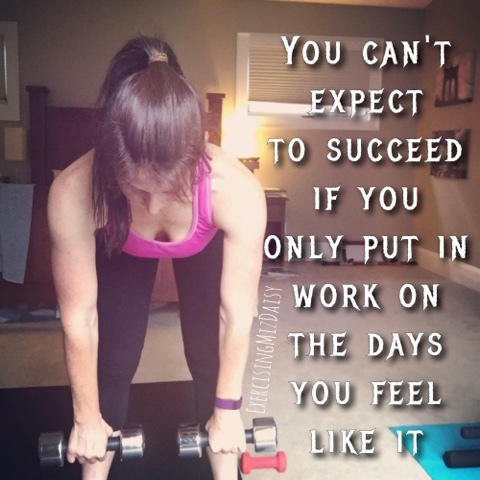 Giving us more opportunity to get through the other fresh produce we have. 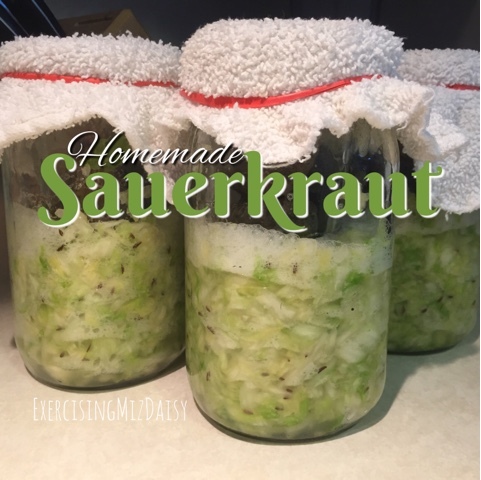 I found instructions for making the kraut here.